The Alzheimer's Association recommends gifting music on holidays to those with Alzheimer's disease or other forms of dementia. According to the Alzheimer's Foundation of America, music therapy can help manage stress, coordinate motor movements, assist in cognitive function and boost moods, among other benefits. Moreover, music has the ability to evoke memories in those suffering from dementia. The Alzheimer's Association advises music that's already familiar to your loved one, and to let him or her choose what to listen to whenever possible. Puzzles, crosswords, Sudoku and other memory games are perfect for exercising cognitive function and helping slow the onset of Alzheimer's disease. Home Helpers recommends keeping these games at a skill level appropriate for your loved one. That is to say, if the person you care about is in the middle or late stages of the disease, purchasing an elaborate puzzle or challenging crossword book might be too difficult, even if your loved one used to be a master of these games. If your loved on prefers digital gaming on a tablet or smartphone, consider getting apps such as Lumosity, Brain Trainer or Clevermind, just to name a few. 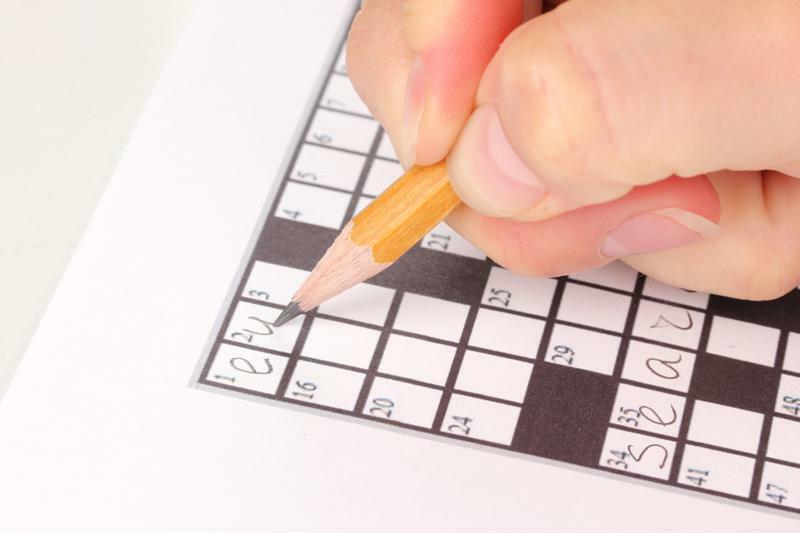 Crossword puzzles are a great cognitive exercise for those with Alzheimer's disease.